Give the Gift of Self-Care This Holiday Season! It all starts November 22: Thanksgiving. Followed the next day by the shopping frenzy that is Black Friday. Over 30% of annual retail sales in the US happen between Black Friday and Christmas Eve. It’s a month long rush of holiday parties and events, holiday concerts and gift buying. The irony is that the one thing that most adults want to find under the tree this year, wrapped in a box and a bow, isn’t more ‘stuff.’ It isn’t the latest kitchen gadget or the newest phone. It’s time. Time to read a book, time to take a long, hot bubble bath. Time with friends and family, laughing and having a good… well, not to put too fine a point on it, time! We can’t actually give time to our friends and family, but we can motivate them to spend more time on self-care and improvement. New Parents — What about a gift card for a professional babysitting service, allowing your cousins who are new parents to get that all important date night into their crazy schedule? From a meal planning service to hiring a doula, there are so many ways you can give the new parents in your life the gift of time. Your Parents — Your own parents might be needing a little help too. Perhaps you might want to book a housecleaning service, so that Mom and Dad can let go of that chore and have more time to indulge in their favorite hobbies? Get them a snow removal service or lawn maintenance package and remove that from their to do list. Your Kids — Got kids who hate to clean? Give them a ‘No room cleaning for a week’ coupon book! They’ll love it! It’s the teenage version of the ‘get out of jail free’ card in Monopoly! Even little kids can benefit from extra time! What about coupons for extra screen time? Or plan surprise day trips once a month, visiting a new part of your city and playing the tourist! Making memories with your kids comes by spending time with them, not spending money on stuff. Your Best Friends — Do they love massage and tea? Music and vodka? Movies and popcorn? Make them a basket of self-care items, including an Elements Massage® gift card, that suits their personality. This curated basket will remind them to take the time for themselves and enjoy their favorite things to do! Of course, the best gift you can give this year is the gift of relaxation. Everyone on your list can benefit from calm, peaceful ‘me time’ and they will thank you for the reminder to slow down and relax. 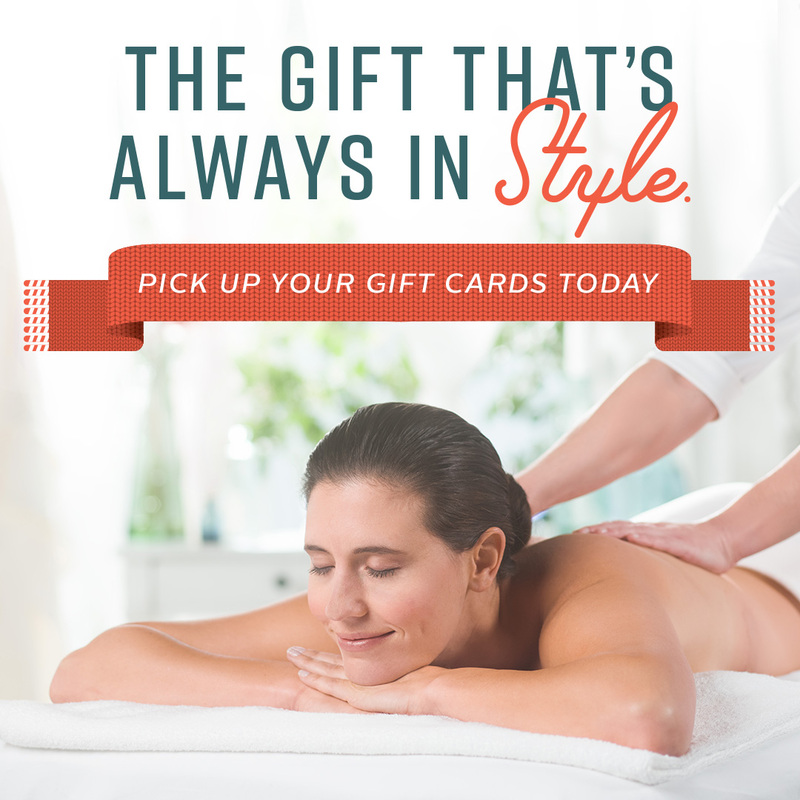 So, go ahead and get an Elements Massage® gift card for everyone on your list...and pick up one for yourself while you’re at it!